"The Expendables 2" No. 1 again as new films, including Joseph Gordon-Levitt bike flick, struggle in late summer. 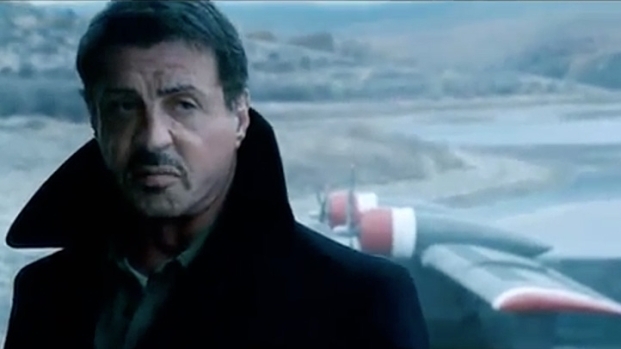 "The Expendables 2" did its best impression of "The Help," repeating as No. 1 at the weak, late-summer box office. Neither Joseph Gordon-Levitt's bike-messenger thriller "Premium Rush" nor Dax Shepard's and Kristen Bell's heist comedy "Hit and Run," the weekend's major new films, made a dent. The Ashley Greene paranormal horror flick, "The Apparition," looked pretty ghost-like itself in failing to crack the Top 10. "2016: Obama's America," the not-exactly admiring documentary about President Barack Obama, went wide in time for the Republican convention, and--voila!--put up the best theater-for-theater performance of any of the big films. "The Expendables 2" - $13.5 million, "The Bourne Legacy" - $9.3 million, "ParaNorman" - $8.5 million, "The Campaign" - $7.4 million, "The Dark Knight Rises" - $7.2 million, "The Odd Life of Timothy Green" - $7.1 million, "Premium Rush" - $6.3 million, "2016: Obama's America" - $6.2 million, "Hope Springs" - $6 million, "Hit and Run" - $4.7 million.